St. Martin's Press, 9781250119490, 416pp. From Barbara Delinsky, the New York Times bestselling author of Blueprints and Sweet Salt Air, a brand-new novel about a woman in hiding finding the courage to face the world again. Mackenzie Cooper took her eyes off the road for just a moment but the resulting collision was enough to rob her not only of her beloved daughter but ultimately of her marriage, family, and friends—and thanks to the nonstop media coverage, even her privacy. Now she lives in Vermont under the name Maggie Reid, in a small house with her cats and dog. She’s thankful for the new friends she’s made—though she can’t risk telling them too much. And she takes satisfaction in working as a makeup artist at the luxurious local spa, helping clients hide the visible outward signs of their weariness, illnesses, and injuries. Covering up scars is a skill she has mastered. Her only goal is to stay under the radar and make it through her remaining probation. But she isn’t the only one in this peaceful town with secrets. When a friend’s teenage son is thrust into the national spotlight, accused of hacking a powerful man’s Twitter account, Maggie is torn between pulling away and protecting herself—or stepping into the glare to be at their side. As the stunning truth behind their case is slowly revealed, Maggie’s own carefully constructed story begins to unravel as well. She knows all too well that what we need from each other in this difficult world is comfort. But to provide it, sometimes we need to travel far outside our comfort zones. From a multimillion-selling master of women’s fiction, Before and Again is a story of the relationships we find ourselves in—mothers and daughters, spouses and siblings, true companions and fair-weather friends—and what kind of sacrifices we are or aren’t willing to make to sustain them through good times and bad. 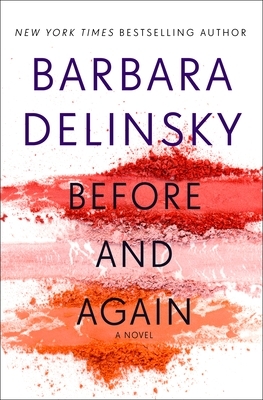 BARBARA DELINSKY is the author of more than twenty New York Times bestselling books, including Before and Again, The Scent of Jasmine, and Love Songs. She has been published in twenty-eight languages worldwide. A lifelong New Englander, Delinsky earned a B.A. in psychology at Tufts University and an M.A. in sociology at Boston College. She lives in Massachusetts with her husband, more books than she'll ever be able to read, two tennis racquets, and enough electronic devices to keep in close touch with her children and their families.